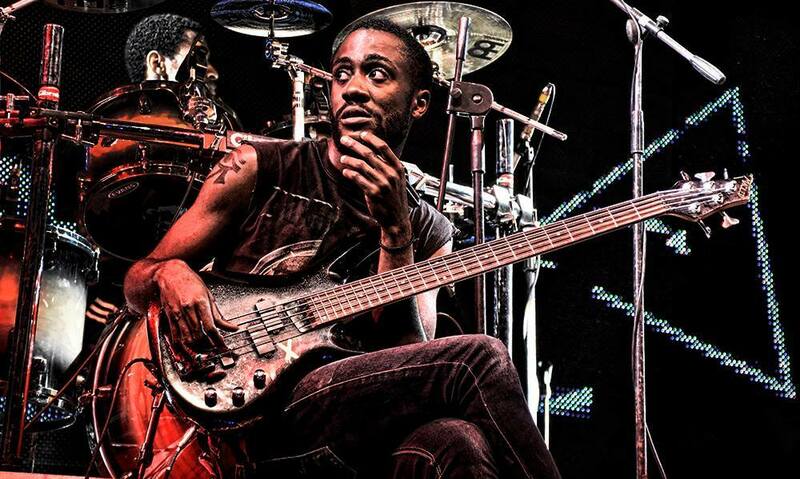 Angola is an unlikely place for heavy metal, but a small scene has started to develop in the African country. The documentary ‘Death Metal Angola’ showed this to the world. One of those bands is Horde of Silence, who refuse to remain quiet in their homeland. The documentary showed how metal is taking root in this corner of the world, brilliantly showing its force. On behalf oof the band Yannick Merino was kind enough to answer questions about Horde of Silence, Angola and metal music, so that the world may learn a bit about their refusal to remain silent. Could you start by introducing yourselves and telling us how the band got started? The person that had the idea to startthe band was Edilson “Pagia” Chitumba (currently he’s the vocal / bass player for Dor Fantasma. He wanted a band with fast riffs and heavy tunes, similar to Divine Heresy. He invited Jayro, also from Dor Fantasma to join the band and the two called me to be on the drums. They asked me, because at the time I was one of the few drummers that was able to play fast double bass and blast beats. We first met at a concert in Luanda, at King’s Bar, in February 2009. Jayro and Edilson went from Benguela to play with their band (Dor Fantasma). I was one of the organizers of the concert and I played in a band called Last Prayer (a Groove Metal band). Horde of Silence started at the end of 2009 when I moved to Benguela and we first played live in January 2010. What bands inspired you to start playing this kind of music? A: The bands that inspire us are Behemoth, Dark Funeral, Sodom, Rotting Christ, My Dying Bride, Cannibal Corpse, Divine Heresy, Fear Factory. How did you settle on this name, what does it mean to you? A: This name was chosen by Denilson Jayro, it’s supposed to be contradictory, because we aren’t silent. What is the theme in your music, what sort of stories are you telling the world? So you’ve recorded a song for a split album ‘You Failed…. Now We Rule!! !’ with some of the bands from the Angola metal scene. Can you tell us how that record came to be? A: All the bands that recorded ‘You Failed…. Now We Rule!! !’ are from Cube Records. The idea was to each band record one song and tell Angola and the World that in Angola we have metal bands. It was a bit hard to record because we recorded in a home studio, but it was worthy. How do you guys go about writing your music, who is responsible for what element of it? A: The lyrics are the responsibility of the vocalist, as for the instrumental part, the main parts are done by Denilson Jayro and Yannick. You’ve mentioned you are working on your first EP. What can we expect and how is the progress? Where will it be available? A: We are working in the EP, it’s in a slow process but we expect that it will be done in the end of the year. We will launch it through Cube Records, but it’ll be online a bit later probably. 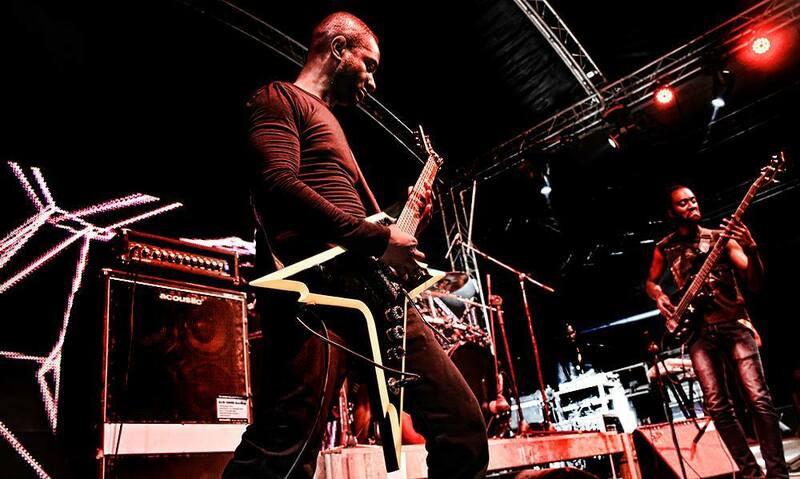 Angola’s scene got quite some attention thanks to the documentary ‘Death Metal Angola’. How has that impacted you guys as a band? Did it open doors for you guys? A: It did open a few doors to the Angola bands, we receive some invitations to play in other countries, so has a lot of bands, such as Dor Fantasma (that’s Denilson Jayro main band), Before Crush, Last Shout and many others. What is super typical about metal from Angola? A: The speed, the heaviness, the mosh pits , and especially the union that exists in the metal. How did metal come to Angola, what was the thing that made the scene start and how big is this music where you are from? A: I honestly do not even know how to respond to this, I know there were a few metal bands in the early 90’s, but the main scene here in rock was punk and hard rock. I think the metal bands start to came out because of the speed and the heaviness in style. In the 2010’s there was a boom on the metal bands, but right now is starting to fade a little bit, metal bands right now are not as much we would like to. So do you have things available like rehearsal spaces, instruments, music stores, venues etcetera? Or how do you cope with the lack thereof. A: In Angola to get good instruments is hard, especially for metal. Most of our instruments are bought outside of the country. In terms of rehearsal spaces are to limited, most of the bands (90%) rehearse in a part of their homes. What do you feel is typical about the music scene you have over there. What is its beauty and what are its downsides? And how do you connect to metalheads from neighboring countries? A: Most of the people in Angola dont listen to metal, they say that’s noise, so it’s difficult for us to show our thing. When we have the opportunity to do it, the people are amazed with our performance, and most of them ask if we are from another country hehehehehe. We connect to the metalheads in other countries through social media (Facebook, WhatsApp). What sort of position does metal music have in your country now, how does society respond to it? Is there forms of censorship? A: Its very low, the people in Angola prefer to listen to soft music, for most of them, Metal is noise. We are censored all the time, even by the local rockers, they state that we should play soft like Coldplay or U2. We only play in certain places at certain times, if we played another rock genre we would be more acceptable. What other bands from Angola should people really check out (and why)? 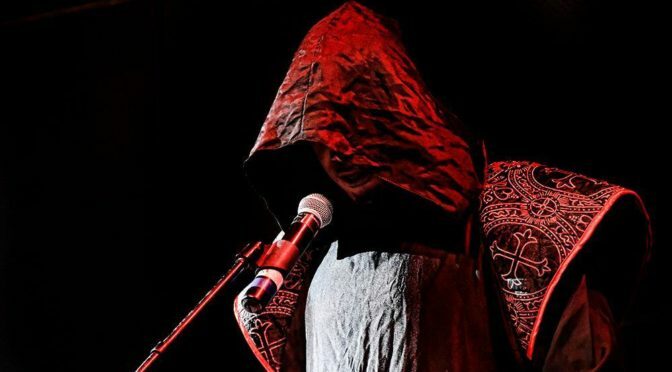 A: You can check Dor Fantasma (Thrash Metal, they sign in Umbundu – a dialect from Angola) , Mvula (2 time winner for best rock band in Africa from AFRIMA), Black Soul (winner of the best rock band in Angola from Angola Music Awards), Sentido Proibido (winner of the first battle of the Bands), Singra, Projectos Falhados, Ovelha Negra. What future plans do you guys have right now? A: Right now the plan that we have is to finish recording our EP. Final question: If you had to compare your music to a type of food, a dish, what would it be and why? A: That’s difficult, but we think it would be palm oil beans with grilled fish, because it’s a dish that represents a little bit what’s the Angolan culture, and we sign in our songs some elements of the Angolan Mythology. Aos poucos o Metal esta a ganhar espaço e a chegar aos ouvidos de muitas pessoas embora muitas não gostam mas o importante é ao menos ouvirem! O publico poderia ajudar mais as bandas dando apoio e fazerem os possíveis em participarem dos eventos, acontecendo isso as bandas antigas voltarão a trabalhar e mais bandas serão criadas.